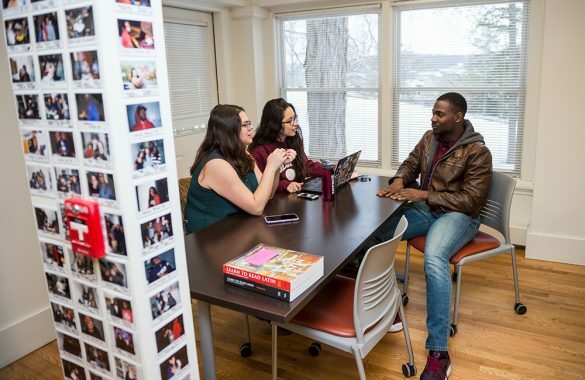 For 50 years, Colgate’s Office of Undergraduate Studies (OUS) Scholars Program has been providing opportunity and academic support to students who have shown talent, creativity, intellect, and determination in the face of significant challenges. 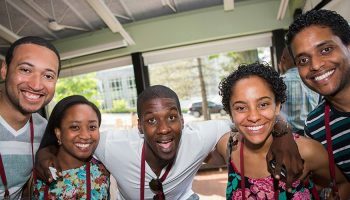 We caught up with several alumni to learn how their OUS experiences shaped their lives and careers — starting with the former student who has returned to lead and support Colgate’s teachers. 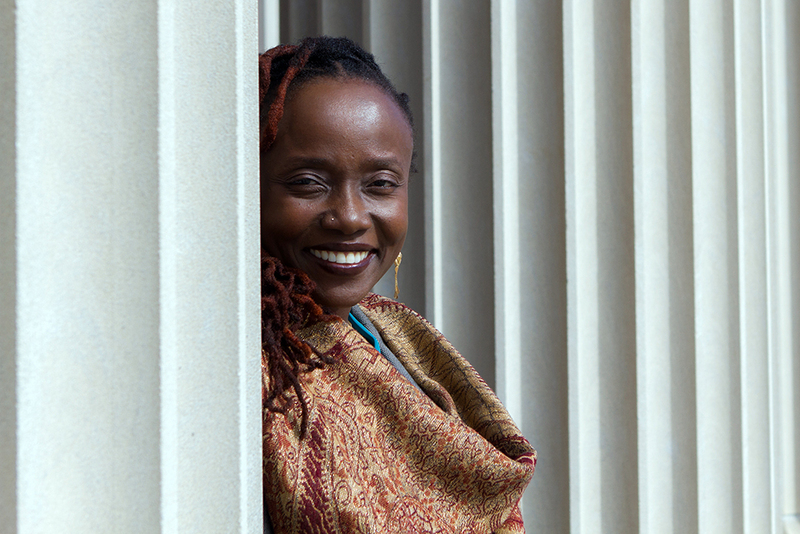 When Beyoncé’s Lemonade came out in 2016, Religion Dispatches — Emory University’s online magazine covering issues at the intersection of religion, politics, and culture — published a “Ten Books to Read” to understand the highly acclaimed visual album, Tracey Hucks’s Yoruba Traditions and African American Religious Nationalism was one of those books. That Hucks’s work — rigorously written for a scholarly audience — has reach in the public domain is an apt metaphor for a scholar, academic, and administrative leader who is down to earth and warmly approachable. 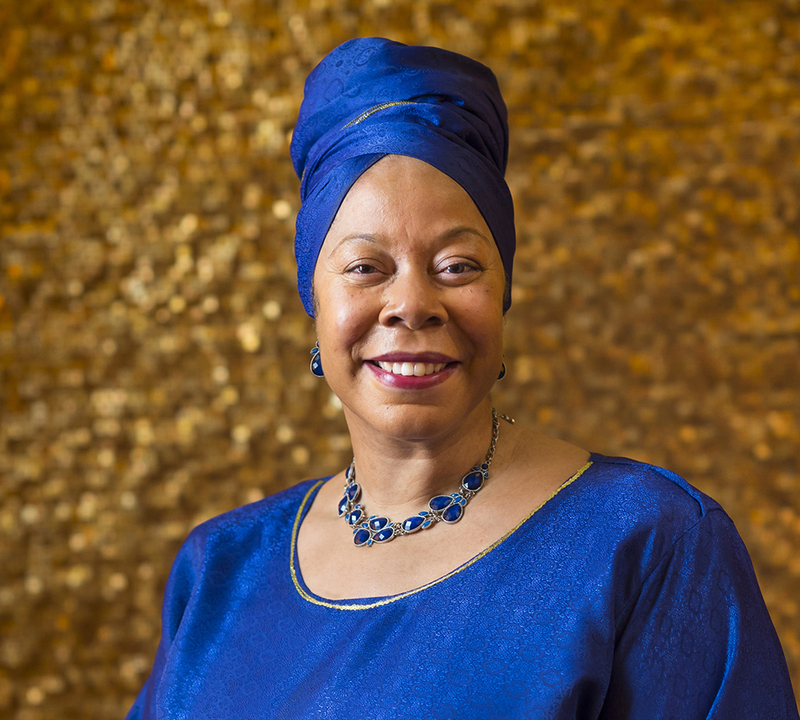 Both her grounding in scholarship and her accomplishments in academe, she says, started with her Colgate OUS (then the University Scholars Program) experience and have now brought her full circle back to campus. 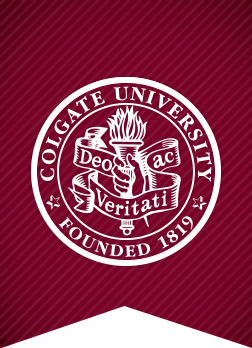 “I am among several Colgate alumni who lost a parent during our undergraduate years. It was an utter devastation to be 19 years old and to lose your mother. I found out in the evening as I was preparing for the Black Student Union dinner. By the next morning, OUS had booked my airline ticket and arranged for an OUS staff member to drive me to the airport. Also, Chris Vecsey — who was my major adviser — called me into his office to assure me that the philosophy and religion department would support me through to graduation. That was invaluable. “The other transformative moment is connected to Professor Josiah Young, who also taught in philosophy and religion. I had written a paper for his class, and he asked me to come to his office to retrieve it. I was very nervous, and when I arrived, he handed me the paper. It had an ‘A’ on it. He said to me, “You should consider being a professor. You have a great mind.” He saw me as someone who could be a producer of knowledge. That was a powerful moment. Equally as powerful was the ability to study with Harvey Sindima, Chris Vecsey, Coleman Brown, Wanda Berry, Anne Ashbaugh, and Marilyn Thie on the graduate level before going off to Harvard University for my PhD. 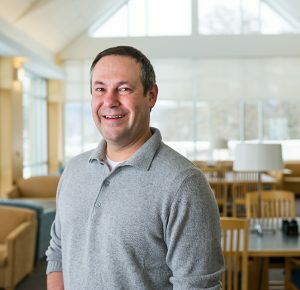 “In part, I see my journey back to Colgate as provost and dean of the faculty as a sense of reciprocity. Colgate gave me many gifts when I was here as a student. 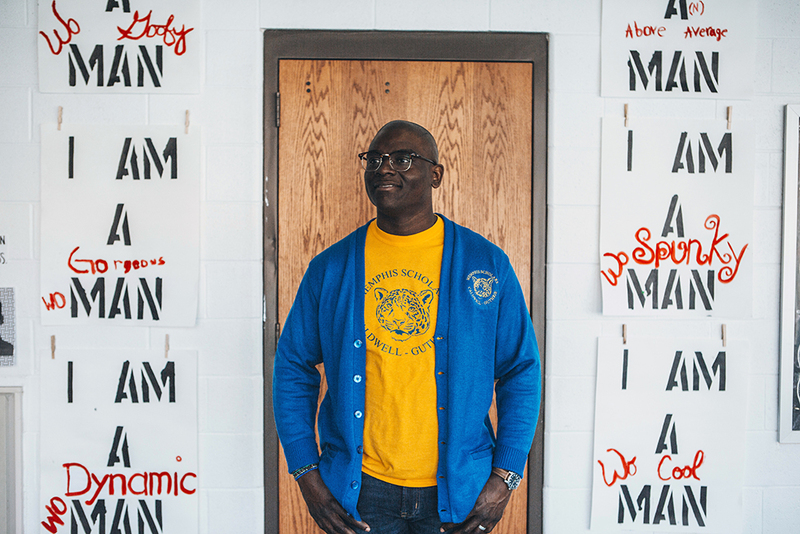 “My role is overseeing what our school culture looks like, and that has turned into creating a discipline system for our students that is culturally responsive. “At certain points later in my life, I have thought the same thing, and I’m now starting to see. In professional instances, sometimes I’ve felt like I’m in over my head. But I have to act, because that’s what I’m being expected to do, and I have to do it to a high standard. “At one point, I was leading the Brothers with my best friends. I was understanding what community looks like and how to build community in a way that is sustainable and successful. “My online media company, GearInstitute.com, produces outdoor and action sports gear reviews. I met one of my co-founders while we were walking our dogs in our neighborhood. 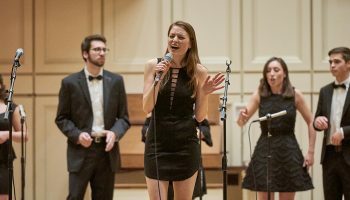 “The connections I made certainly carried on throughout my four years. I also made friends with our student tutors who were older than us. It was nice to know some upperclassmen — that was valuable for being able to spread out and make friends among everyone on campus. “Colgate is challenging, but it’s a lot of fun, too — don’t get too hung up on how much work you have, but also enjoy the people and the place you get to be for four years. One Thursday night in January, several students of Japanese language are watching anime on the living room TV. Another group works together on a class project in the back study room. Heads are bent over books and laptops at the library room tables. The kitchen refrigerators and cabinets, stocked full with snacks, are always quick to empty. It’s a typical weekday evening in the OUS “red house.” Although not a residence hall, the structure formerly known as La Casa Pan Latina Americana (across the road from Merrill House) has become a home base for Colgate’s OUS scholars and students in the First Gen Initiative, a pilot program in its third year. Established in 1967 as the Special Students Program and known as the University Scholars Program from 1969 to 1989, the Office of Undergraduate Studies (OUS) manages the second-oldest scholars program at Colgate. Chosen through the admission process, OUS scholars are a highly select cohort who sought the most demanding academic paths open to them and dedicated themselves to their studies in the face of personal, economic, and social challenges. Typically, of the 36 enrolled per class, most are from the first generation in their family to attend college and have high financial need, and many come from under-resourced high schools. The OUS program begins with the five-week summer institute, designed to ease the transition to Colgate and develop academic readiness. 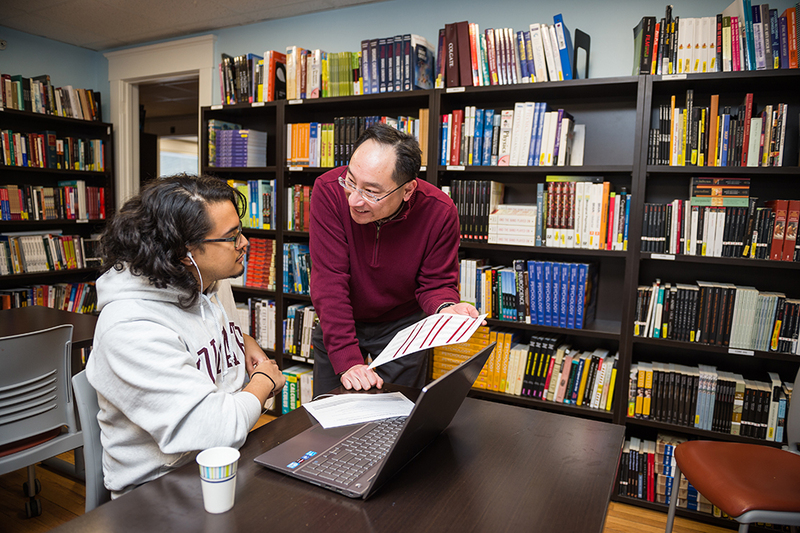 Students take rigorous courses taught by Colgate professors and are introduced to campus resources, from the libraries and financial aid to career services. “It’s like a full semester in five weeks. It’s challenging,” says Regine Cooper ’19, an OUS student who has worked as a residential academic coach for incoming first-years. “Now, being in a leadership position, I understand when they’re sleepy, that they miss home, and that they’re being introduced to a new world.”During their first year, OUS scholars live in the same residential commons. The Class of 2020 are members of Ciccone Commons (named for OUS alumna and former Colgate Trustee Diane Ciccone ’74, P’10), while the Class of 2021 members reside in Colegrove Commons. The experience lends a sophisticated understanding of the work and the commitment it takes to build community, making them attractive candidates for selective academic programs such as the Sophomore Residential Seminars. 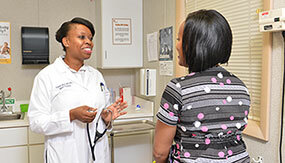 Academic and administrative mentoring continue throughout the four years. A discretionary fund, established by alumni and parents, provides enhanced support for students. And OUS students thrive. 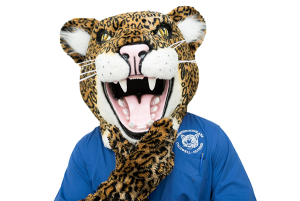 Measures such as graduation, retention, and study- abroad rates; the percentage of students on the Dean’s List; and graduation GPAs all increase with participation, meeting or exceeding those of non-OUS students. OUS scholars have a history of making significant and meaningful impacts on campus; for one, since 1973, 105 OUS scholars have been inducted into Konosioni, nearly 10 percent of the senior honor society’s membership during that time. 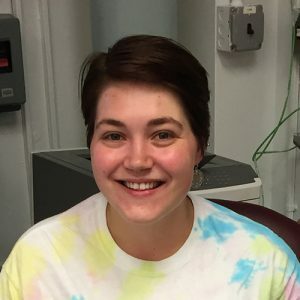 “I am utilizing my social justice–oriented graduate degree in teaching to transform the way museum education is being done. 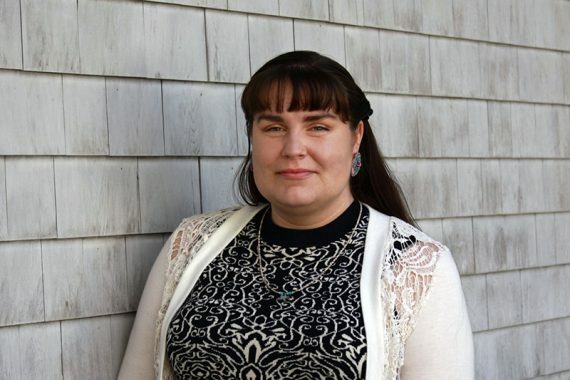 “I work at an institution committed to decolonizing museum practices. I create programs and exhibitions that prioritize and privilege Indigenous Wabanaki voices. I am leading my department in establishing protocols around decolonization and working closely with local public schools to advocate for decolonizing curriculum practices. “OUS inspired me to think about social justice in new ways and introduced me to the educational studies department. I knew I had to be part of something bigger than myself to feel fulfilled by a career. I witnessed the positive impact of education throughout OUS, and I wanted to be part of this kind of work. Succeeding in their careers, volunteering over the years, OUS alumni are living and working everywhere from Alsace to Atlanta, Pasadena to Phnom Penh, and Hanoi to Hamilton, N.Y.
Editor’s note: We asked Amarachi Iheanyichukwu ’21, a current OUS student, to interview OUS alumna Michèle Alexandre ’96 and write about their conversation. Michèle Alexandre picks up on the first ring. As we exchange pleasantries, I struggle to keep the anxiety out of my voice but find comfort in hers, an orotund yet warm sound. She speaks as if she has all the time in the world, yet her reality could not be further from the languid lifestyle her tone suggests. Alexandre has a demanding schedule as a law professor, lecturer, and associate dean for faculty development and intellectual life at the University of Mississippi School of Law. To start the conversation, I ask her to paint me a picture of her life before Colgate and she obliges, transporting me to 1980s Brooklyn. Alexandre attended Prospect Heights High School in the early 1990s, a period marked by a rise in gang activity and violence in the neighborhood. The challenges presented by her environment were only exacerbated by the fact that, as a recent transplant from Haiti, Alexandre did not speak English. In spite of all of this, she persevered. 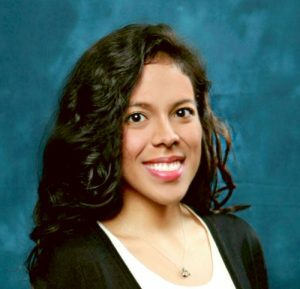 “I refused to give any excuses for why I could not succeed,” says Alexandre, who was recruited by Colgate for her stellar grades. In describing herself at age 16, Alexandre chooses the word “hungry,” illustrating the keenness with which she competed against and excelled beyond her English-speaking peers. 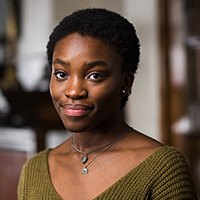 This hunger for intellectual pursuit eventually led not only to her early graduation but also secured Alexandre’s spot within Colgate’s OUS Scholars Program. As an OUS scholar myself, I inquire about her experience with the program’s Summer Institute, interested in indications of time’s shadow. Her voice is nostalgic as she recalls late nights and early mornings, hours spent toiling over religious texts, writing papers, and improving her English. The conversation moves toward Alexandre’s historic accomplishment as Colgate’s first black valedictorian. Elaborating, Alexandre focuses on her love of knowledge and refusal to be ignored, traits that propelled her through her graduate years at Harvard Law School and stint as a lawyer fighting for the oppressed. “You won’t be loved by everybody, but that should never stop you,” she tells me as she slips in an anecdote about her work on the famous Black Farmers’ class action suit as a new lawyer. Today, Alexandre is no longer practicing law; instead, she teaches others to take her place. “I knew I wanted to be a professor as soon as I started law school, but working at firms is always recommended; it allows you to dig deep scholarly wise,” she explains. In closing, I ask two more questions. Who is Michèle Alexandre beyond the valedictorian, the lawyer, and the professor? And what brings her joy? She thinks for a moment. And then the words come, first slowly, then all at once. Although we are just voices more than 1,000 miles apart, it is easy to imagine her in front of me as she laughs about her newfound love of R&B artist SZA and the therapeutic nature of running marathons twice a year. We discuss our shared affinity for old-school hip-hop and her fascination with millennial dance moves. One could liken her tone to that of a second-semester senior, at ease and excited for the future. “I was the first in my family to go to college, so I had no one to ask for information or advice about what to expect. OUS filled those gaps for me in many ways and encouraged me to study the things I was interested in and explore as many facets of Colgate life as possible.